The eagle is landing acrylic award is a remarkable AcraPrint piece of art. Eagles have long been recognized as a symbol of majesty and soaring to new heights. A perfect sales award, achievement award and employee award and patriotic award. 6" x 8-3/4" x 2"
The Empire acrylic award is a perfect corporate award that we graciously accepted at any awards ceremony. Floating above the rest with this cloud shaped award. Whether the recipient is in the cloud or has excelled to new heights, the cloud acrylic award says it all. Perfect for a religious award, achievement award, employee award or sales award. A truly stunning and elegant Gold Star tower award with black and gold accent. 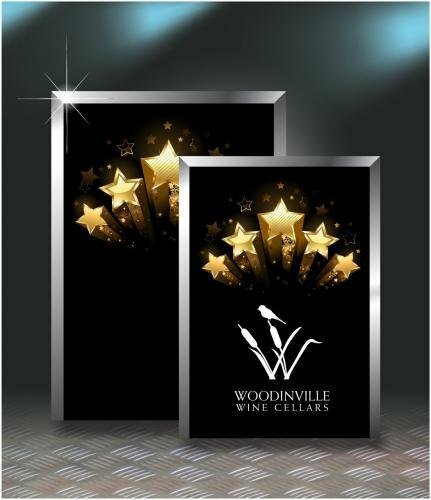 Recognize those shining star recipients with this top of the line award presentation. An Excellent patriotic award. 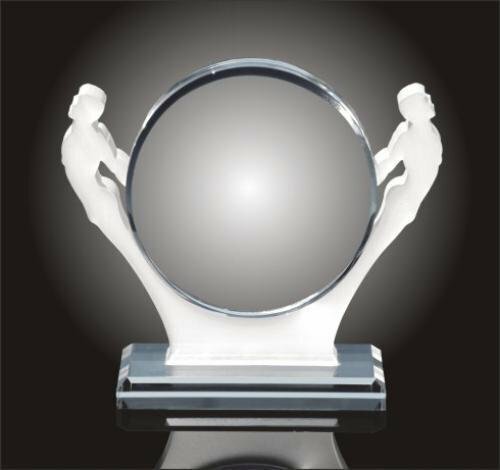 6" x 13-3/4" x 3/4"
This truly stunning male statuette acrylic award holding a clear circle acrylic award piece is a perfect recognition acrylic award for almost any sporting event. 8-1/2" x 8" x 1"
Climb to the top with this mountain shape summit acrylic award. Mountain climbers have long been recognized for reaching new heights. This mountain summit award depicts such achievement for any employee or salesperson. 8-3/4" x 7-3/4" x 1-1/2"
The Page fanning out award comes with your choice of painted sides available in red, green, blue, gold, frosted and purple. Pearl laminated front double flame award. Your choice of pearl front and is available in 6 different colors white, blue, green, gold, silver and red.